Clay Critters will be open tomorrow, Tuesday, January 7 for business as usual. 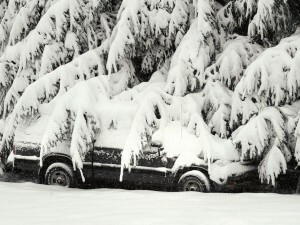 The parking lot has been scraped, so you won’t need your snowshoes. I turned the heat back up in the building and shoveled the walks, too. 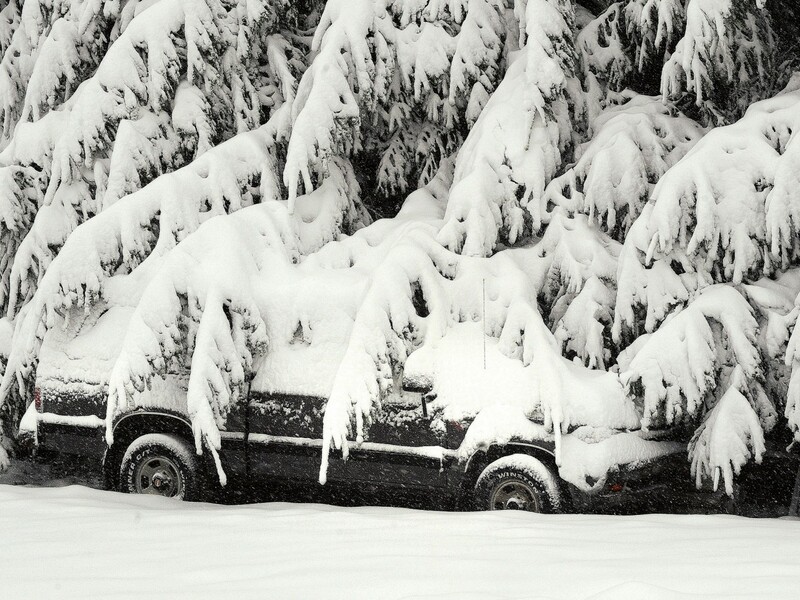 The phone lines are down, so send emails, please. Clay Critters will be closed on Monday, January 6 because of heavy snowfall, drifting snow, sub-zero temperatures, and dangerous wind chill factors. EMPLOYEES: DO NOT COME TO WORK! Please pass this announcement on to others. 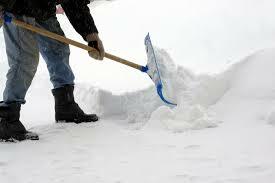 We plan to be open on Tuesday, weather permitting. What’s a fridge-magnet collector called? 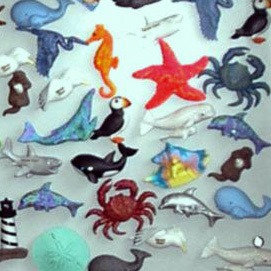 I bet you didn’t know, a collector of refrigerator magnets is called a memomagnetist. That’s OK, I didn’t know it either! It is derived from the words memoriale (Latin for memory) and magnetis (Greek for magnetic). There are names for other collectors, too: philatelist (stamps), numismatist (currency), and lepidopterist (butterflies and moths). But what is the name for all these names; what is the collective term called? For instance a demonym is the name given to people who live in a certain place or locale, i.e. Philadelphian, Welsh, or Hoosier. We never stop innovating and building new equipment. 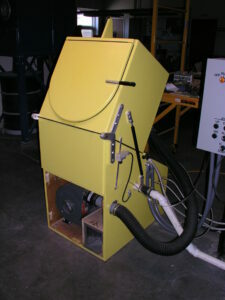 Here is our newest machine to alleviate a tiresome job, conditioning polymer clay. 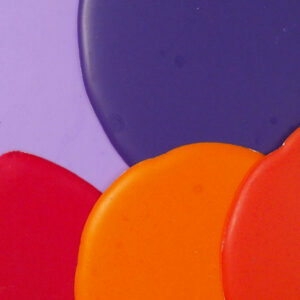 Some of our products are decorated with parts made from the same polymer clay you buy in hobby shops. Such clays often need conditioning. They are too hard to work with. This requires kneading—a lot of kneading. Polymer clay hobbyists often use a home pasta machine to knead clay; we own four of them! But, we needed (no pun intended) more capacity. So, we built this large clay conditioner to make this disdainful job easier. To give you an idea of its size, the two steel rolls are 3.5″ in diameter and 12″ long, and that’s a one pound block of polymer clay on the catch tray. To soften the clay, the operator lets the machine repeatedly squeeze the clay, gradually reducing the distance between the rollers. 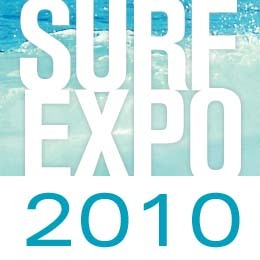 See us in booth 2927 at the Surf Expo, January 10-12, in Orlando, Florida. Show specials this year are baker’s dozen OR free freight. This fits in the “old news” category. Washing parts after they’ve been sanded to remove dust and oil has been a perpetual problem for us. Washing them by hand was labor intensive, and we could not find a suitable parts washer. So, about three years ago, we designed and built this computer controlled washer, or simpleton robot. It washes and rinses the parts with a high pressure like in a car wash while tumbling the parts slowly like in a clothes washer; drys them with heated air like in a dryer; and dumps the parts in a waiting tub like a coffee roaster. The parts are immediately ready for paint and finishing. The operation is so automated that after loading the machine, the operator only needs to press a single button to start the cycle. Washer with front panel removed and controller on the right. 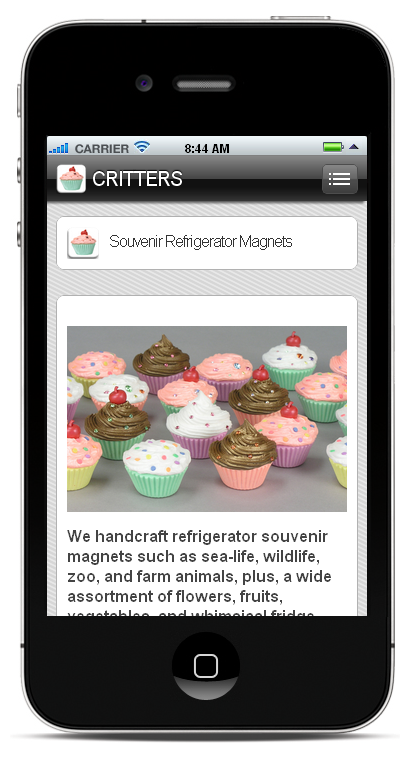 CLAY CRITTERS Smart Phone Friendly! Our website is now configured to automatically respond with a special looking theme if you browse with a smartphone. The new theme allows for easier navigation and the pages load four times faster. We’ll be at the Surf Show in Orlando, Florida on from January 14th through the 16th at booth 2859. Hours are thursday 9-6, friday 9-6, and saturday 9-5 in the South Hall of the Orange County Convention Center, 9400 Universal Blvd.